There is compassion or perhaps a mantra in Dr. Zulekha’s brand of care, which has benefitted innumerous patrons for the last five decades, leaving a lasting impact in the region. In her own words, “Beyond the technology, besides the specialists, there is something more – the magic of a caring touch.” It is that charisma and quality, which makes people fondly call her as 'Mama Zulekha'. The Group has now reached the zenith of excellence in healthcare, thanks largely to Dr. Zulekha’s strong ethic of compassion. 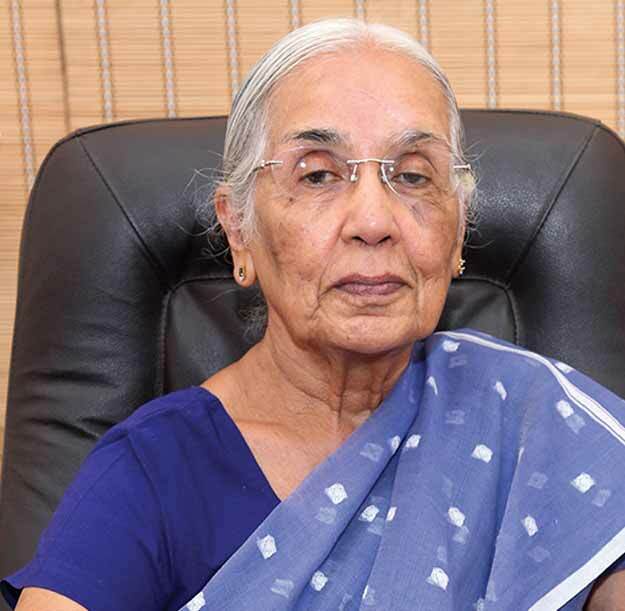 The journey started in the early 1960's when Dr. Zulekha Daud came to the UAE after completing her medical degree from the Government Medical College in Nagpur, India. It was her father, Sadiq Vali, who advised her to go to the Gulf. Choosing the UAE over a lucrative career in the UK, she helped people in deep need of medical treatment. During those days the UAE was a vast expanse of desert without any electricity; medical facilities were rudimentary to say the least. But despite unfavorable conditions Dr. Zulekha decided to stay on and serve the people with a rare display of selflessness. Since there were no hospitals in those days, she travelled door-to-door to attend to normal deliveries. With her dedicated service, she was able to capture the hearts of the nationals and expatriates alike. In her own words, "What I did was nothing greater than the need for medical attention. I borrowed strength from the overwhelming need of the people in this country." Even today Dr. Zulekha wears the same spirit and passion to serve people suffering from various medical problems. Although these days her involvement is largely administrative, the 74-year-old is consumed by her abiding love for work. Having single-handedly elevated service to mankind to a new level, Dr. Zulekha is now synonymous with care and compassion in the UAE. The arduous journey of the country’s first lady doctor represents a story of strength and determination, and serves as an inspiration to women and countless others. About women, Dr. Zulekha says, "Being a mother is a great feeling. It is an emotion of care. As a thumb rule, women tend to nurture and love more than others. They empathise, they give, they feel – which makes them motherly. Even as a little girl, I knew I wanted to care and give comfort to society so I grew up to become a doctor and with it came my identity." 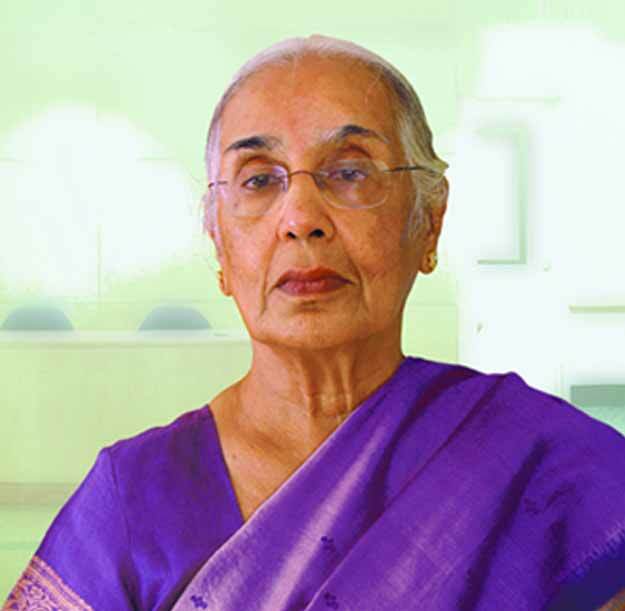 Dr. Zulekha started practising from her clinic in Sharjah in 1964. Braving hard times, with just a bag and a few basic amenities (there were no nurses or assistants) she dedicated herself to the women who needed her services. Some cases came from faraway places but she treated one and all. Her biggest reward was to see the women relieved of their labour anxieties, holding the newborns in their laps.In 1992, Dr. Zulekha realised her dream with the establishment of Zulekha Hospital, Sharjah, followed by a medical centre in Dhaid. The year 2005 saw the establishment of a second hospital in Dubai. The 75-bed multi-specialty hospital has since proved to be a boon for the residents of Al Qusais, Al Nahda and Mirdiff. The hospitals represent Dr. Zulekha’s personality of care and compassion. Regarded as the Zulekha spirit, these attributes can be found in the doctors and staff at all times. Under her eminent leadership, Zulekha Healthcare Group is now one of the largest private healthcare networks in the Gulf. With more than 1,250 personnel including over 200 qualified doctors, staff nurses and a host of paramedical staff, the Group represents comprehensive healthcare that is accessible to anyone in need of medical attention – delivered through two multi-specialty hospitals in UAE and one in India, three medical centres and three pharmacies. Awards and accolades have been heaped on her in recognition of her services. Dr. Zulekha has been voted as the Gulf’s most powerful Indian women by Arabian Business Power. She was also included in the top 10 of the most influential Indians in the Gulf by Arabian Business Power list. Every year, Zulekha Hospitals under her leadership hosts health campaigns including cancer awareness camps Pink it Now, Smear Don’t Fear and Watch Your Back. The group has also been supporting various corporate community initiatives in the UAE, notably — Beat Diabetes of Landmark Group, Think Pink Initiative of Joy Alukkas, Terry Fox Run, etc. Dr. Zulekha is the winner of the International Women’s Day Excellence Award by ‘Dhwani’, the New Global Indian Excellence Award and the Lifetime Achievement – Healthcare Award for her iconic leadership and outstanding contribution to the industry at the Power Brands Hall of Fame 2012. She was recently bestowed with a Gr8! Women Award for her outstanding contribution in the healthcare industry and “Outstanding Contribution of an Individual to the Middle East Healthcare Industry Award” at the Arab Health Awards. In the same year, Zulekha Hospital (Dubai and Sharjah) received the Dubai Quality Award from SheikhMaktoum bin Mohammed bin Rashid Al Maktoum, Deputy Ruler of Dubai and President of DIFC, for emphasising quality healthcare in the region. DHA honoured the Zulekha Hospital and Medical Centre (Dubai) in the accreditation ceremony for continuous cooperation towards providing high quality medical care for the population of Dubai. This award was received from Sheikh Hamdan bin Mohammed bin Rashid Al Maktoum, Crown Prince of Dubai and Chairman of Dubai Executive Council. Dr. Zulekha firmly believes in the importance of good education. This is evident from her active involvement in several charitable causes and societal works despite her hectic engagements. She established a charitable trust under the name of ZED Vocational and Training Centre in 2004, mainly providing education to the needy segments of society in an unprivileged area of Nagpur. The trust is running Zulekha College in Nagpur, where there are no educational institutes. The college provides courses in commerce, science, technology and management. In 2006, ZED kindergarten was established for nursery, KG I and KG II classes. Besides providing computers for computer courses, it imparts education free of cost to poor students. Taking her brand of care to a place where people are bereft of basic medical amenities, Zulekha Group established Alexis Hospital in Nagpur to meet the medical needs of the local communities. These are just some of the endeavors of Dr. Zulekha who believes in contributing to the society by empowering it with knowledge. Key projects undertaken by Dr. Zulekha Trust for social and humanitarian causes during the last four years include blood donation camps, contribution of common medicines and surgical accessories, cleanliness drives in slum areas, and supporting an institution dedicated to the well-being of mentally challenged children. Over the years, Dr. Zulekha has helped build closer relations between the overseas Indian community and the country of her birth, India. She has initiated a book donation drive in the UAE, where huge collection of books on various subjects are collected and sent to academic libraries to benefit students. Poor students in India are helped through educational scholarships, books, etc. to support the growth of human resources, with establishments run by overseas Indians. Dr. Zulekha Daud along with Metito International supported the initiative of providing clean drinking water to schools located in backward areas of Nagpur. This included complete revamp of water accessing and storage utilities at schools. In the words of Dr. Zulekha, "My motto in life has been very simple. I do my best and let the rest find its place. I am flexible in my progress. I am open to new ideas. I appreciate growth and I admire humility. I think the biggest success comes when we allow ourselves to be large enough to accept when we have been wrong. To move forward with learning is better than only moving forward and not understanding the lessons along the way. Times change, circumstances change, people change – how you change with it is what makes or breaks you." It is obviously an arduous task to truncate Dr. Zulekha’s profile. But she is perhaps the highest woman achiever in the UAE from the Indian community. As the founder of one of the largest private healthcare networks in the Gulf, she continues to be an epitome of what a woman can achieve through sheer grit and determination, and of course, a lot of courage and perseverance.